Húsavík in the Northern Region is the whale watching capital of Iceland and possibly the world. 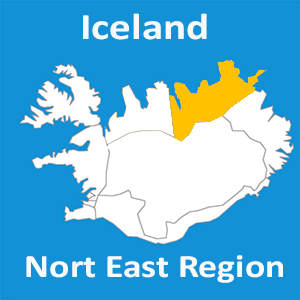 North Sailing has operated their tours for more than two decades and is the most experienced whale watching company in Iceland. It was our first choice when looking for a partner to offer a whale watching tour on Hit Iceland. A tour that we have experiences with great joy as you can read about in our article. If you are looking for a once in a lifetime experience and come into proximity with the fascinating animals that whales are, the “Original Húsavík Whale Watching tour” is an adventure tour for you. Here you will discover the great nature of Skjálfandi bay observing whales, dolphins, and seabirds in their natural habitat. There is always the possibility of seeing a 30-ton and 16 meter humpback breaching which is an electrifying sight. And dolphins “running” around in the ocean. You will enjoy the smooth, safe sailing of a traditional Icelandic oak boat and treat yourself to a cup of hot cocoa and a cinnamon bun. North Sailing also has many highly experienced guides that are trained to spot exciting activity and interesting animals in the ocean. Recommended by thousands of satisfied travelers worldwide the Original Husavik Whale Watching tour is an authentic wildlife adventure by the pioneers of whale watching in Iceland. If you are ready for this once in a lifetime experience interacting with natural wonders book your tour and dive into the adventure.